Chance is a core concept underlying much Modernist art. While chance could function comparatively ‘innocently’ during this period, as pointing a way beyond mere instrumental rationality, these days even chance cannot convincingly suggest an authentic method of elision. 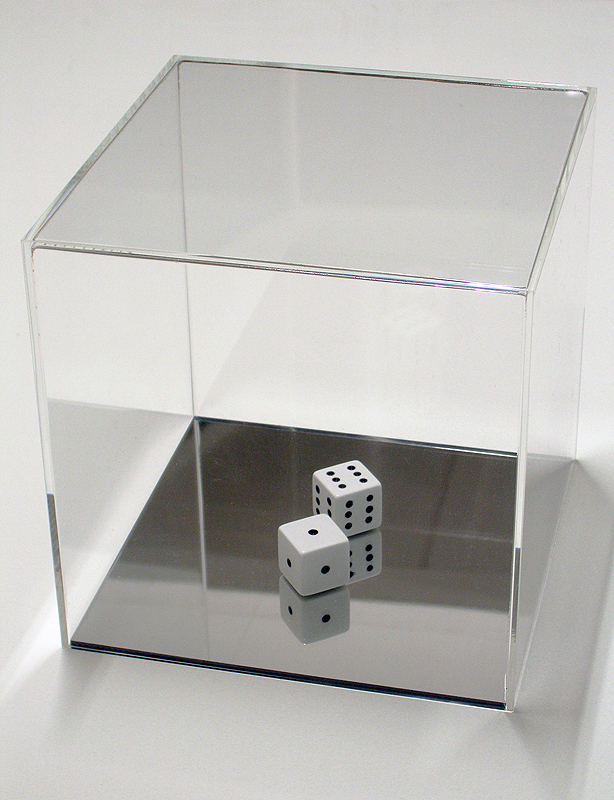 The dice here have been stripped of their chance and competitive dimensions. Once so auspiciously dynamic, they have instead become static signifiers of their original promise. 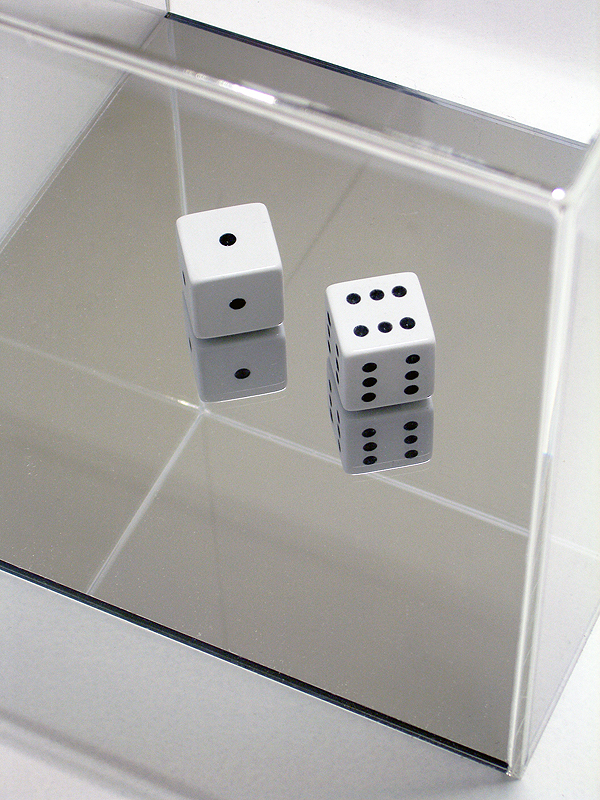 The dice are now absurd ciphers of an a priori formalised ‘win – lose’ scenario reflected infinitely.